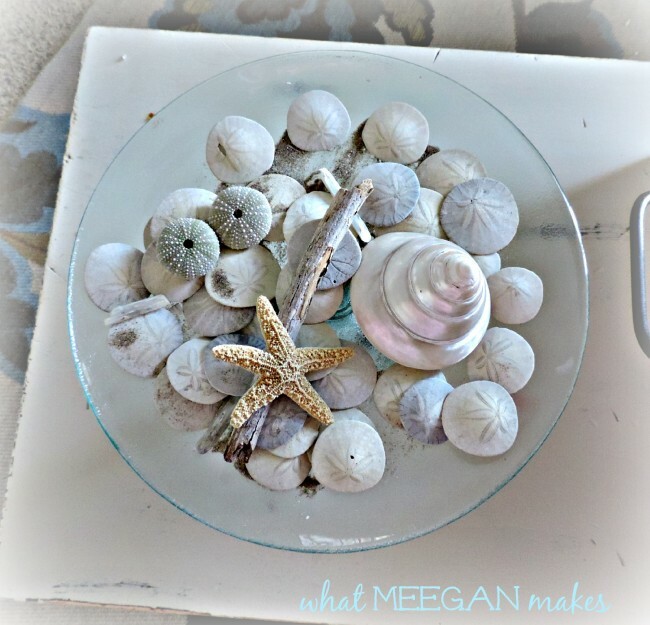 If you have stopped by earlier on my blog you may have seen many ways I like to display shells in our home. 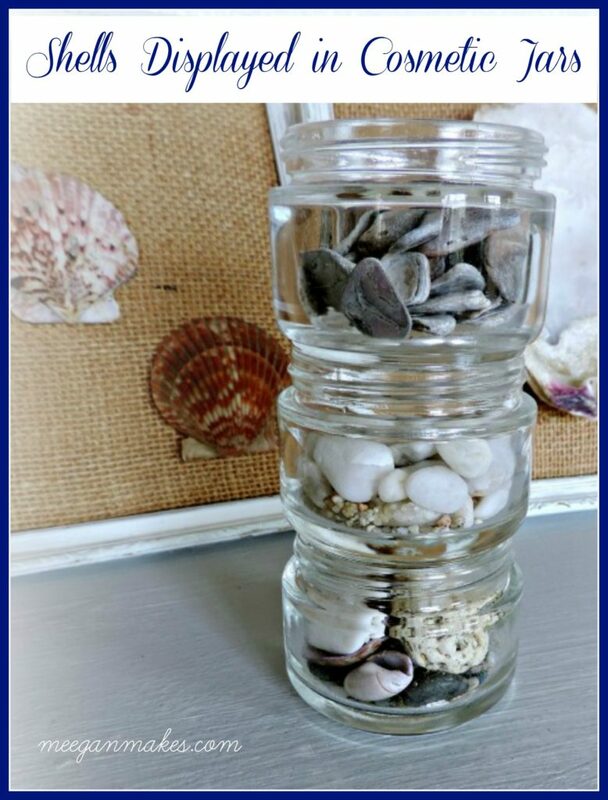 Today let me show you how to display Stacked Cosmetic Shell-Filled Jars. It is beautiful and easy. After reading “Get to know me“, you know that I love being near the ocean. Since the nearest ocean is 4 hours away, I like to bring the ocean to me. I collect shells and sand from all over the world. Friends and family have given me sand from the Atlantic ocean to the Hawaiian islands, the Baltic sea, Tahiti, and most recently I have sand and shells from Bermuda. My shell collection is getting quite extensive. And, I love it. Finding a way to display my shells can be a problem sometimes. BUT, I look for ways to share my treasures with visitors. I have shared a few of my ideas here and here. This is my most recent idea. Stacked Cosmetic Shell-Filled Jars. AND, it is really simple and easy peasy. Just how it should be, right? 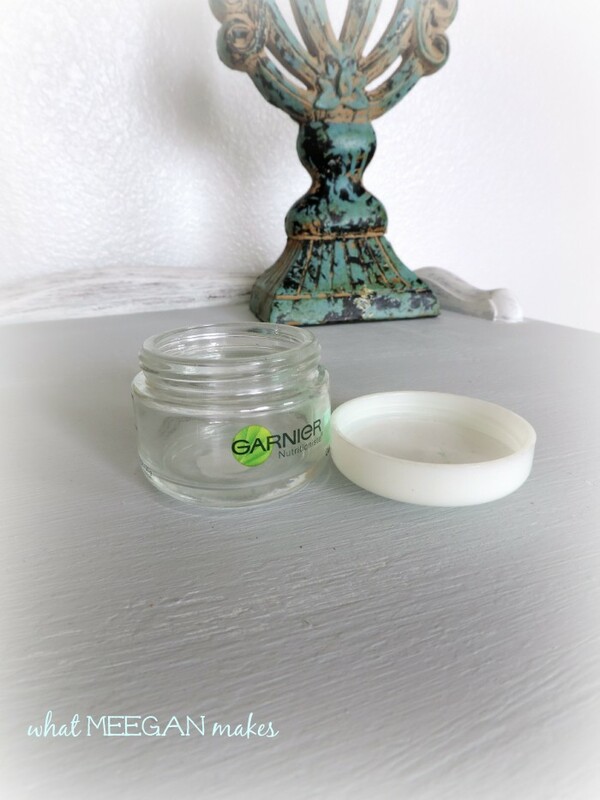 After a few years of using this moisturizing gel, it was time to start collecting the jars. It did not take long to save three. I threw away the lids and removed the labels. SO EASY! The shells in the top jar a small portion of shells were collected by my grandma when she was in her 20s. The middle jar has small white rocks I collected with a grand daughter when we were at Pebble Beach. 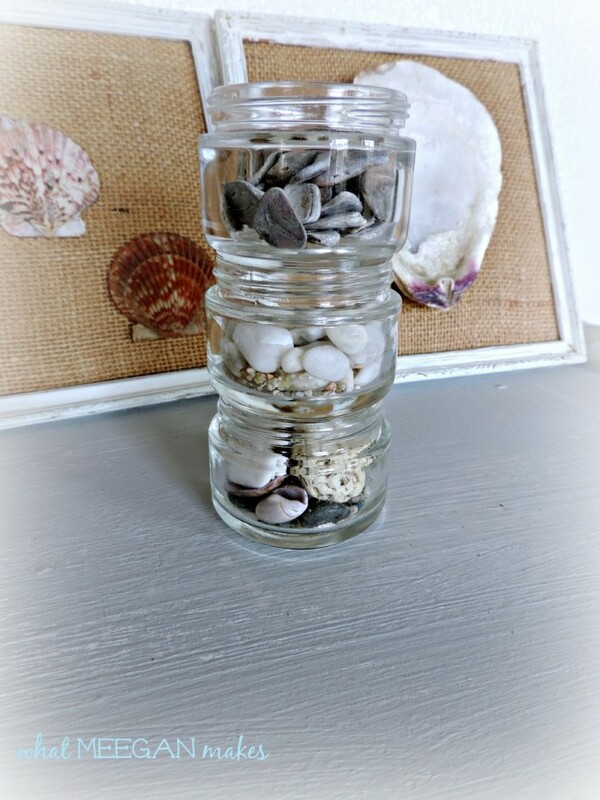 The bottom jar is filled with shells found in Morro Bay, CA. 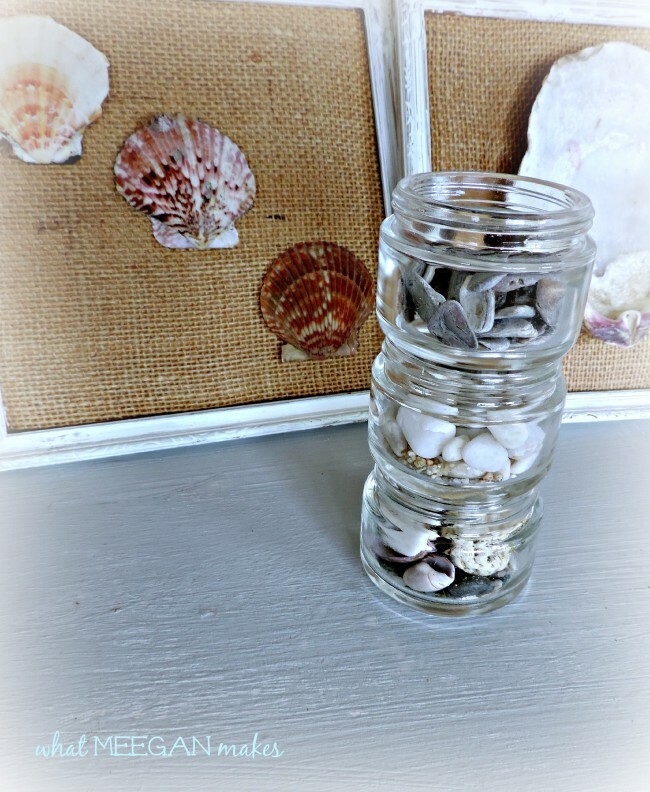 My Stacked Cosmetic Shell-Filled Jars are a great addition to have on display in any room in our home. Would you ever guess each jar once had moisturizer in it? Thanks for joining me on this beautiful Spring Monday! This is a great idea Meegan! I must pass this idea onto my sister who collects sand from all over the world. So pretty and so simple!